Smoothies are a filling and nutrient dense snack or meal but when your blood sugars are out of balance you need to be careful about what goes into them. Take a break from the sugar-laden fruits like bananas, mango, and papaya, and stick to fibre rich greens and avocados instead. Your body will get the nutrients it needs to remove toxins, boost weight loss, and help to strengthen your immune system, minus the blood sugar spike that comes alongside most smoothie recipes. I love drinking a green smoothie first thing in the morning to get my day started. 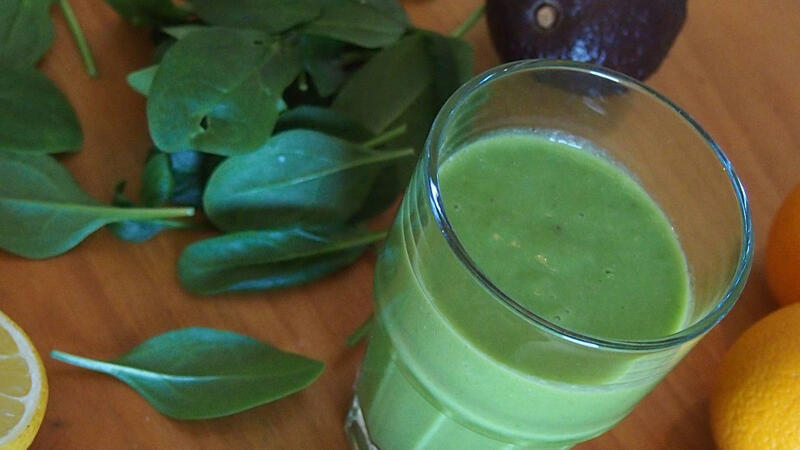 The Green Magic Smoothie (see below) is a great energy booster and the additional cacao is high in magnesium which helps keep stress levels in check. Here are a few low sugar smoothie options to incorporate on a daily basis anytime you need a quick energy boost! For both smoothies, simply add all ingredients to your blender and pulse until smooth and creamy. Try to drink them right away as these fresh and natural smoothies don’t last too long in the fridge. Wondering if you have a blood sugar imbalance? Complete this questionnaire and you will be sent a copy of your results. Blood sugar imbalance is often the root cause of feeling depleted, burned out and the extra belly fat that is so hard to get rid of.